The thought of bringing new life into this world is tremendously exciting...but have you thought about what diapers cost? Or riding lessons? 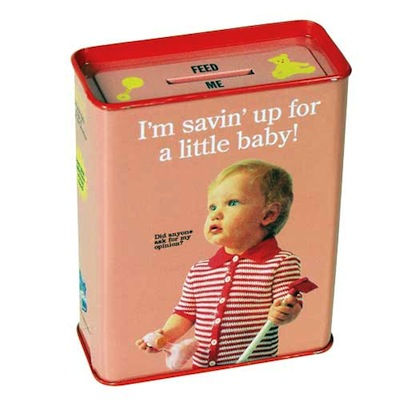 Baby's First Trust Fund makes savin' up for baby fun. 3.5" x 4.5".